Grofers is the best online grocery store delivery app successfully managing the operations in more than 25 cities across India. This online supermarket app is gaining potential customers from December 2013 by providing delivery of grocery goods with 90 minutes of turnaround time within a radius of 7 kilometers. Apart from this, they also have multilingual or regional language support feature in their supermarket shopping app to enhance the customer experience so that they can easily make an order or search with the local language. With such outstanding features, Grofers is disrupting the online grocery shopping and delivery market. According to the recent survey, India’s online grocery market is expanding tremendously and already crossed the worth value of INR 6,500 crore. With this surge, Grofers is also spreading the wings and clocking around 40,000 orders a day to become a BigBasket contender. After knowing the success rate of such best grocery delivery service app like BigBasket or Grofers, many entrepreneurs are planning to launch their online startups by investing money in grocery app development to earn an expected ROI. If you are also looking for the same and want to hire a top mobile app development company for your custom or defined needs then get in touch with us today to know about the grocery app development cost. Here, At Goteso, we have every kind of on demand apps solution to cater to your business needs. 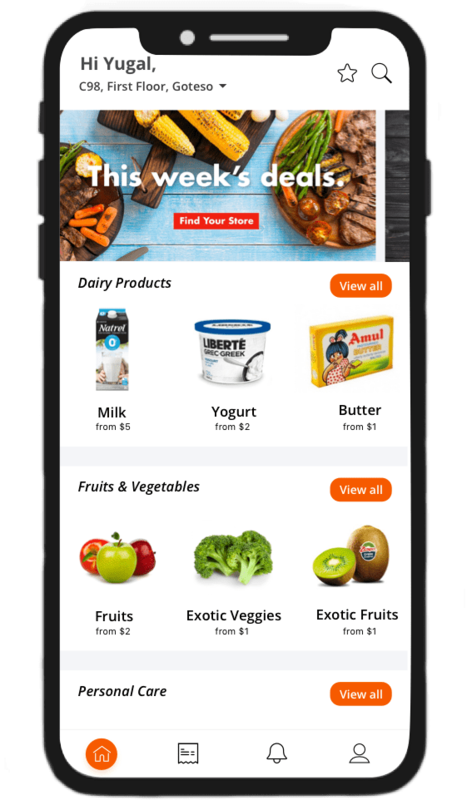 Using the app, Customers can conveniently order the daily needed grocery items with just a tap on their mobile screens. While placing the order, customers can choose the order pick-up or delivery time as per their convenience. The customer can easily track the real-time location of his/her order with the app. Customers can get the notifications related to the new offers, the latest discount coupons, and the order status. Customers are provided with the multiple payment options like COD, credit/debit cards, net banking, SODEXO, PayTm and MobiKwik wallets etc. Out of these, the customer can choose the most convenient option according to him/her for making the payment of the order. Using the referral option in the app, users can share the app with their friends and ask them to use the app. According to their experience using the services on the app, the customers can easily give their feedback and rating. Customers can choose and set their local language for an app from the list of regional languages as per their convenience without worrying any international language i.e. English. After the successful grocery delivery to the customer's doorstep, an agent will update the order status from pending to delivered by taking the digital signature from them. Using an app, delivery agent can easily check his/her ratings and feedback given by the customers for the appropriate services. With the help of ratings, agents can easily make a better decision/plan to keep their customers happy. An app can provide a visual interface into the map to detect short and collision-free routes so that delivery agents can delivery the grocery orders on-time. There is no need to teach English to your delivery agents if they are happy to deal with customers in their local language because using an app they can choose and set the local language as per their own convenience. A store manager can add and update the required products in a catalog with their price. If inventory stock for a product goes down the decided limit then it automatically toggles the online availability status as off for a product. Track the exact location of delivery agents to keep your customers happy with on-time delivery. They can send notifications to the customers regarding new products in a catalog, offers, and discount coupons. A store manager can know the profit by getting complete reports of the business sales, expenses, and other needful assets with a single click. The store manager can update the inventory by adding new products with their cost/sale price after deciding the profit margin. If stock will reach nearby shortage limit then the manager will get notified automatically. A manager can easily receive the order in their native language and expand the customer base by adding the local items with their local names as well. An owner can add their own warehouses/store in the app to generate the maximum revenue without any third-party vendors. 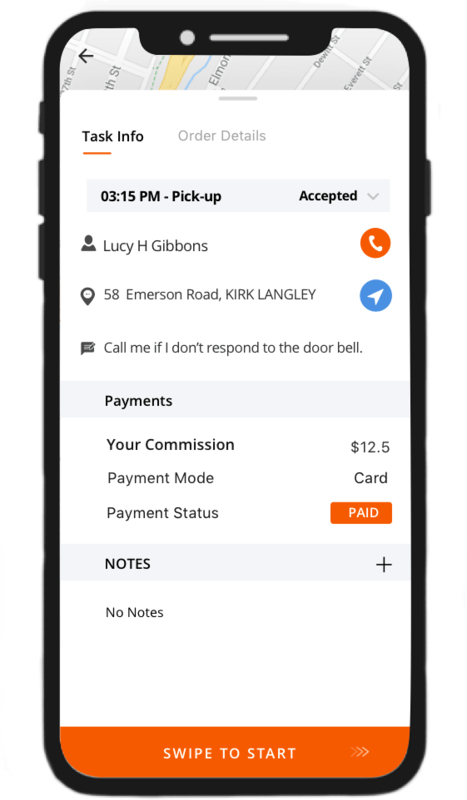 If the owner is running any Grocery - SaaS-based business model then they can add and manage the vendors with decided commission charges using the panel. An admin can add new products with certain categories, price, and availability status. If a certain product stock goes below the decided limit then that product become unavailable until the stock goes up from the shortage limit. An owner can get the information of each customer who is associated with the app and make the decision by knowing the buying experience, favorite product, wishlist demands, and brands/products accordingly geographically areas. An admin can also run a marketing campaign using the PUSH/SMS notifications to engage their customers. An admin can get the status of each order to know the service quality of vendors and also check the credibility of an agent using the live location tracking feature. An owner can save the money from the bad debt by accepting it from the multiple payment processing channels like credit/debit cards, net -banking, CODs, PayTm, and other country-oriented gateways. 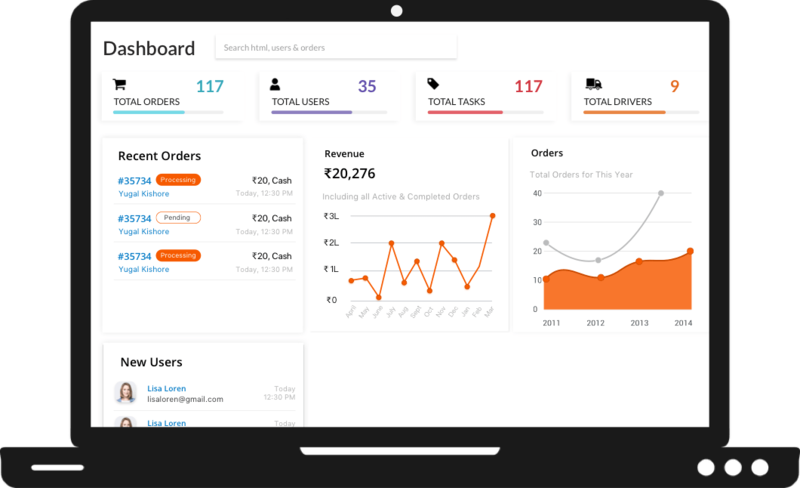 An admin can get the complete analytics report using the real-time dashboard which shows the weekly / monthly / quarterly / annually ROI via attractive graphical interfaces. An owner can add the vendors from multiple regions and expand the business boundaries without worrying the language barrier.